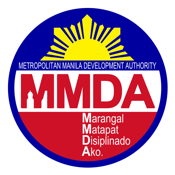 The Metro Manila Development Authority (MMDA) brings you MMDA for iOS! ★ Includes EDSA, C5, SLEX, Roxas Blvd, Ortigas, Commonwealth, Marcos Highway, Katipunan, Espana, & Quezon Ave.
MMDA for iOS is the first Philippine government agency mobile application that allows you to view Metro Manila's traffic situation in an easy to use and convenient app. It also shows road incidents that affect the normal flow of traffic. The app also contains MMDA's FAQs for easy reference on the road. The full MMDA office directory is also included. This application was developed by the MMDA's Traffic Discipline Office under the leadership of Chairman Francis N. Tolentino. Incidents feature powered by Virus Inc.